The Midac AM System provides a versatile, open path, FTIR gas analysis system designed to detect, identify, and measure compounds simultaneously and within seconds. Analysis is performed on-site through a continuous sampling path of up to 1,000 meters. The system provides continuous, unattended, near real-time detection at parts per billion to percent levels for hundreds of chemicals. 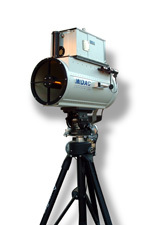 Each system includes a rugged, sealed interferometer equipped with a choice of beam splitters and detectors.